Despite investment in transport, education and housing at Newcastle’s docks, businesses are still struggling and the public realm is broken. 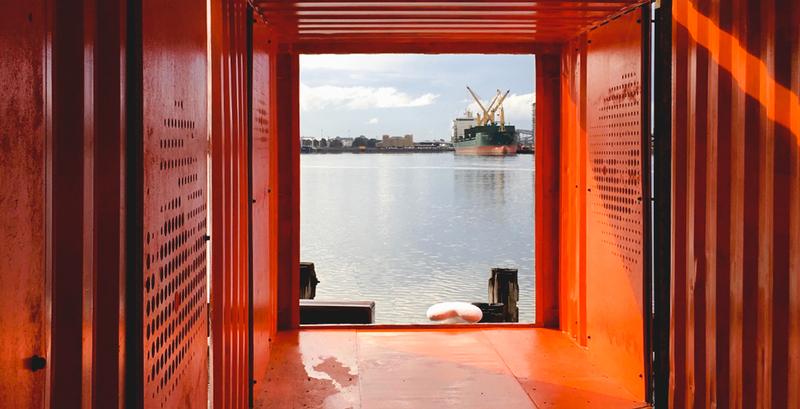 Five new pop-up projects provide a different approach to breathing new life into the old docks. The public realm in Newcastle’s Honeysuckle precinct is “broken”, according to SueAnne Ware, head of the School of Architecture and Built Environment at the University of Newcastle. 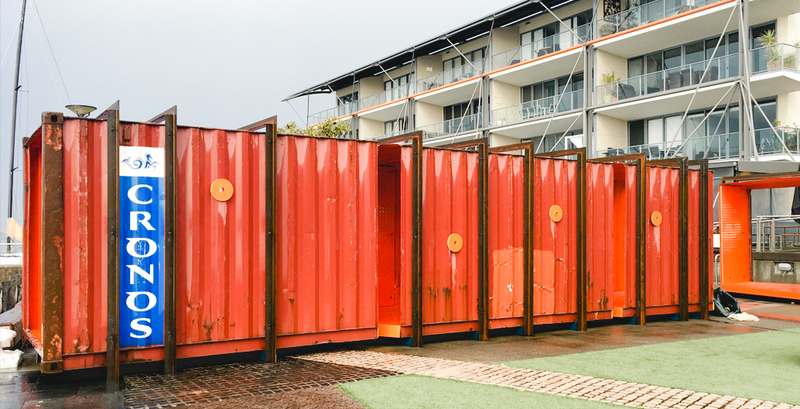 Created in the early 1990s as an urban renewal project on a former industrial site of the harbour-front, the area has received insufficient investment since then. The high water table makes it a difficult site to plant trees and build on, resulting in large areas of unshaded concrete. Shops sit vacant because of high rents on the waterfront. In 2015, the state government passed a bill to remove the heavy rail that ran through the centre of Newcastle and replace it with a light rail. The change in legislation followed a long drawn-out legal battle involving significant local opposition. Campaigners viewed it as a retrograde move, motivated by the development opportunities opened up by the removal of the large rail corridor. Due to open in early 2019, Ware jokingly compares the replacement light rail to the monorail episode of the Simpsons. Construction has made large parts of the area near impossible to access, and local businesses have suffered. But a team of practitioners, academics and researchers led by Ware are using this opportunity to get the public to engage with, and reimagine a space that has been a source of community frustration for many years. 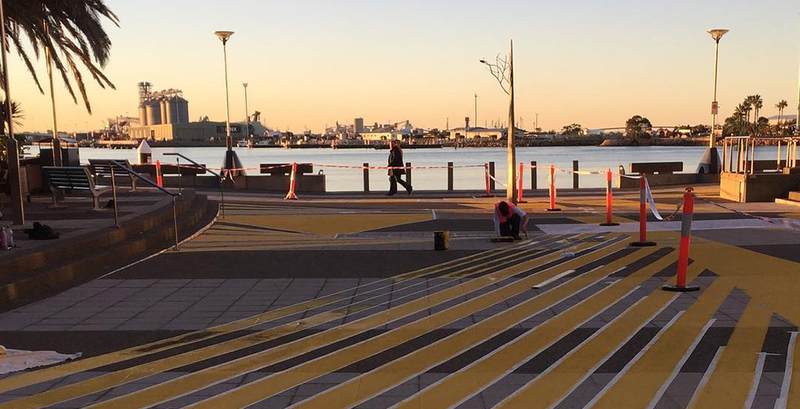 These prickly conversations are precisely the ones that Ware wants to provoke through Honeysuckle Placemaking – it is also worth noting that she uses the term ‘placemaking’ reluctantly. As she points out “the place already exists, we’re just uncovering what’s already there and amplifying it if we’re lucky”. The first activation, Honeysuckle Hopscotch was, to her surprise, the most controversial to date. 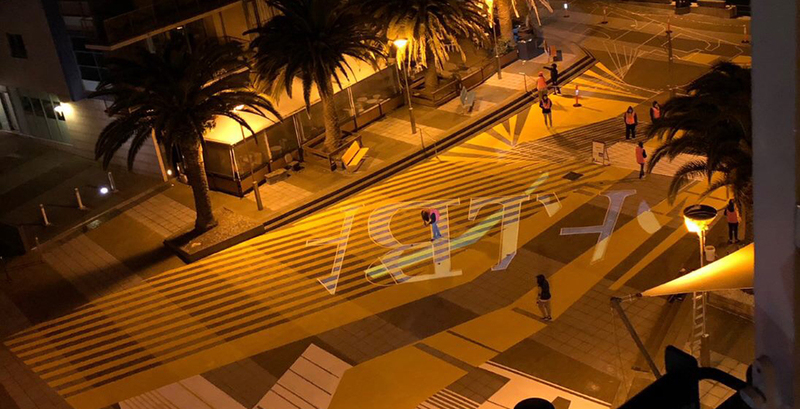 After tracking human behaviour in the area and recording ground temperatures of 50 degrees Celsius over summer, the team decided to play around with the ‘urban heat island’ effect, by using a special type of paint to cool the space. 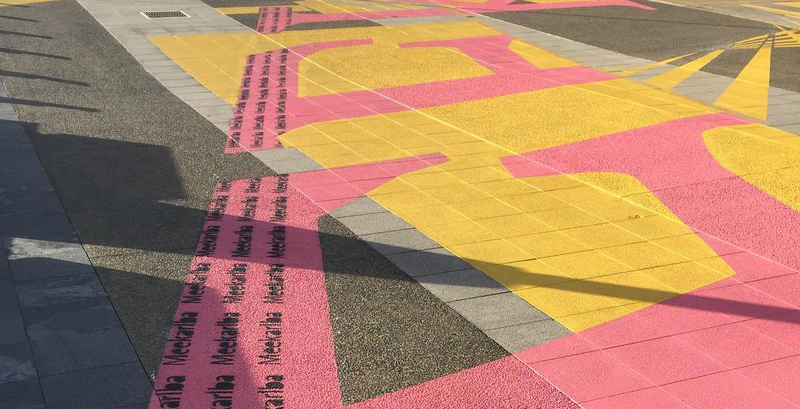 “After talking with some local Indigenous elders, we inscribed an Indigenous word for ‘meeting place’ on the pavement in pink, as well as some buildings painted in yellow,” says Ware. “We had no idea it would trigger this reaction. Some people who used to work at BHP were deeply offended. They said we were missing out on the main history of the site. That was a very interesting conversation, around what is the history of Honeysuckle anyway?”. 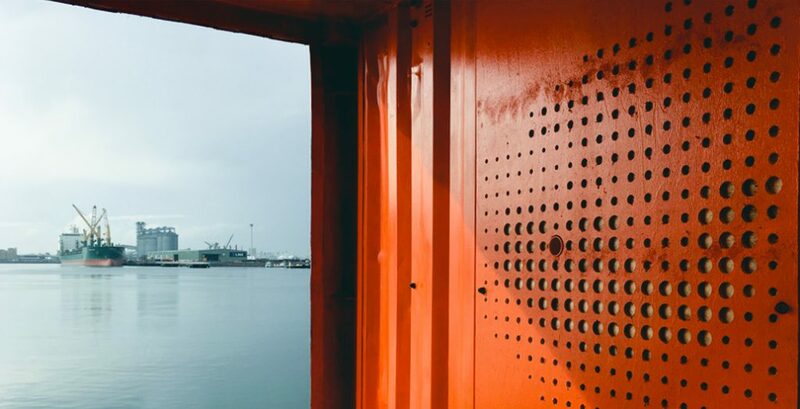 The docks' hard surface frequently hit 50 degrees Celsius over summer. A large painted street mural entitled Hopscotch, was the first project to be completed. This large pink and yellow painted intervention received mixed feedback. 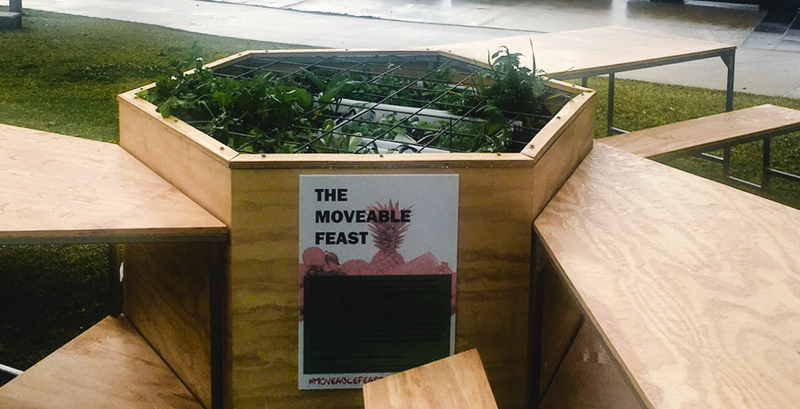 Another installation, the Moveable Feast, is getting people to consider food security in the area. 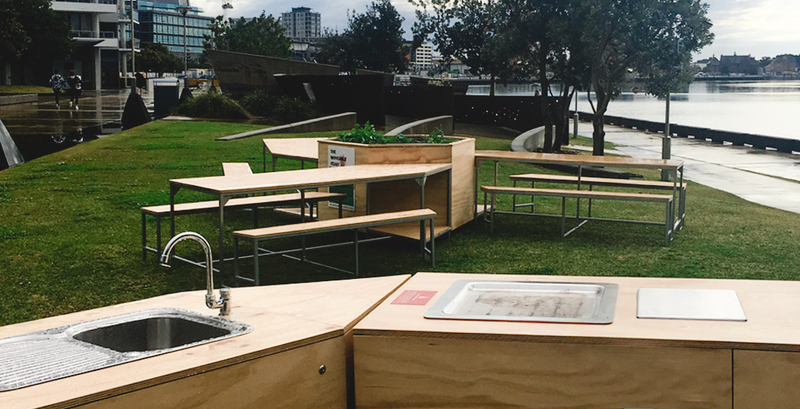 Designed for 32 people, it is a portable space for people to eat and cook as well as containing an edible garden. Amber Sauni, industrial designer and PhD candidate, has found that free food is available in the area but there is no infrastructure to store or prepare it. This is problematic for people experiencing homelessness. 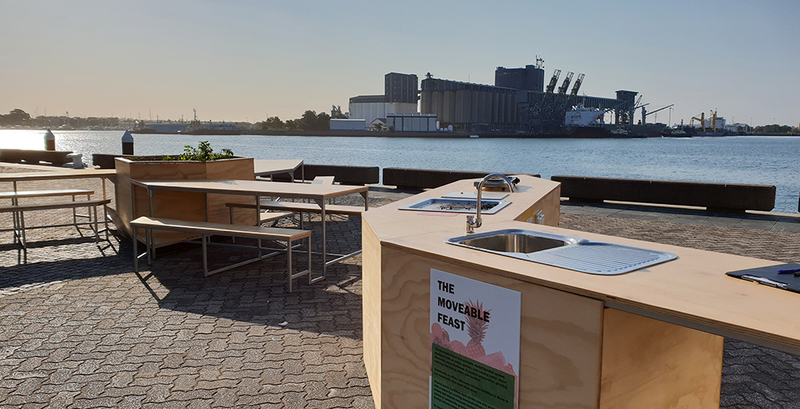 “In a big picture sense, I’d love to see cooking facilities installed in public spaces on a more permanent basis. Having the ability to boil water in a pot is important,” says Sauni. “The autonomy and dignity a facility like that can afford a person is huge. That’s where I see the most potential for social improvement.” Even though it’s early days, people have been interested and curious in what she is doing.